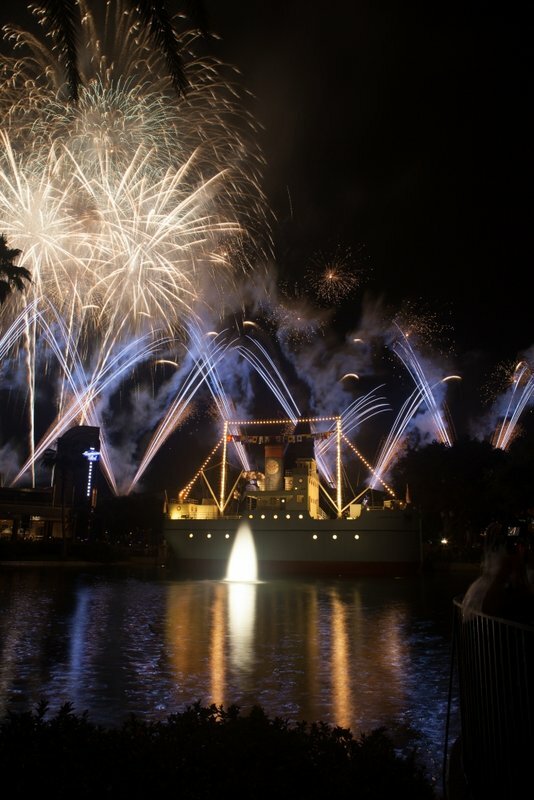 According to photo reports on Twitter and Instagram, there was a bit of a wreck during a performance of Lights, Motors, Action at the Studios on Tuesday afternoon. According to this one picture post, all the drivers are fine, but the incident was scary to watch. In fact, a video of the actual accident has been posted to Instagram here… you can see how the hero car (red) takes that final jump out of the building at too high of a speed, catches way too much air and slams the back of the car into the overhead crossbeam at the bottom of the landing ramp. Luckily nobody was hurt. Still, I wouldn't expect the show to be operating for the forseeable future. ^It's fortunate no one was hurt, but when you put on a big car stunt show daily, you're going to have accidents from time to time. Glad nobody was hurt. I don't see why it would take too long to reopen the show. I mean, they just need to either replace or fix up the red car and make sure a car doesn't hit that beam again. ^ OSHA. OSHA is why it will take a bit to reopen the show. They have to come in and evaluate what happened and yadda yadda boring government crap. ^ Oh how I wish it was that easy. But knowing OSHA they'll make them reprofile the cars to be better aerodynamically while also disallowing the jump and instead have the cars exit the building via a 20 degree ramp at 10mph while a single bottle rocket launches from the roof. In my often jaded world of being a theme park blogger, it's rare to get to go to an event that you aren't there just to blog about, but are there because you are super excited to be at, and would be going to regardless of writing about. This was me today at Disney's Hollywood Studios for the kick off of their "Frozen Summer Fun" event. I admit that as a 40-something year old man, I probably like Frozen more than I should, but hey, it's a FANTASTIC movie, I'm a fan of musicals, and I grew up working for Disney and was involved with several Disney animated projects, so in a way, it's kind of in my blood. When I first heard about the event I wasn't quite sure what to make of it. My expectations were that I was going to love it, because I love anything Frozen, but I feared it might feel "thrown together" last minute, and being at Hollywood Studios, while they have one of my top favorite attractions on Walt Disney World property (Tower of Terror), isn't my favorite of the four parks at WDW. That being said, we ended up doing a full open to close day at the Studios, and yes, we did have an AMAZING day!!! Ok, enough text talk... On to some photos & videos! KidTums has her "take along Olaf" - We should have some fun with this today! Disney's Hollywood Studios decked out for Frozen summer fun. Olaf came out to open Hollywood Studios for Frozen Summer Fun! 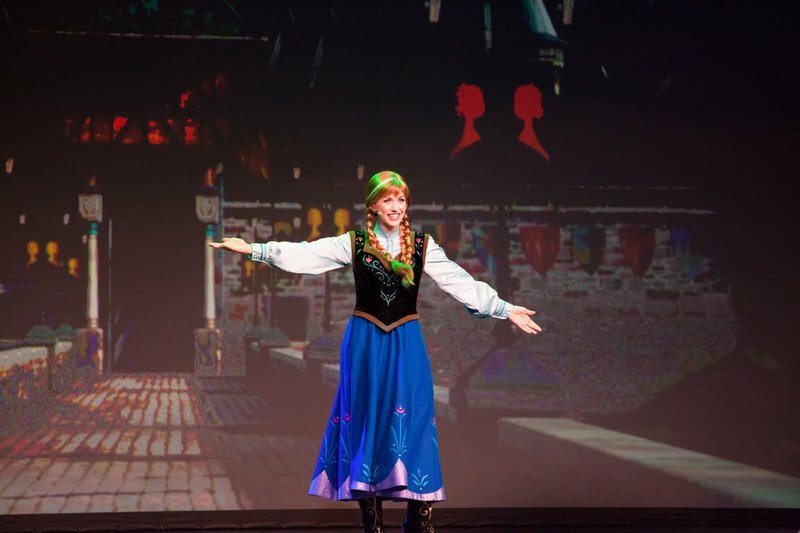 You need to get tickets for the Frozen Sing-a-Long! Yup... We got 'em! 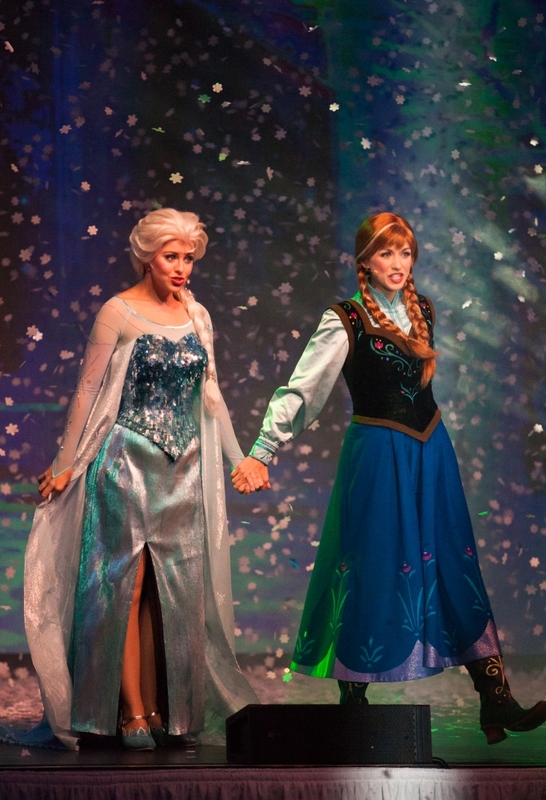 The American Idol show at Hollywood Studios is getting into the Frozen Summer Fun with Let It Go! 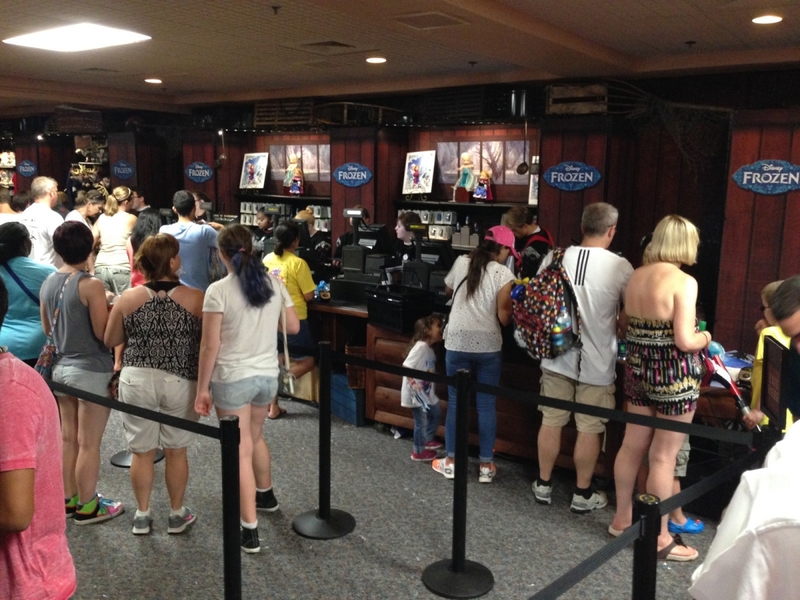 For the first time in forever Toy Story Mania is NOT the longest line at Hollywood Studios! We all have our "Carry Along Olaf's!" About to head into Wandering Oaken's Trading Post! Yes, you can build a snowman inside Wandering Oaken's Frozen Funland! A trio of Frozen themed cupcakes in Wandering Oaken's Frozen Funland! If I have to choose to eat Anna or Elsa, I choose Anna! Wandering Oaken has a Zamboni!!! Yes! The girls *actually built* a snowman! Snowfall being projected on Elsa's castle in Wandering Oaken's Frozen Funland. Ice Skating Show in Wandering Oaken's Frozen Funland about to start! 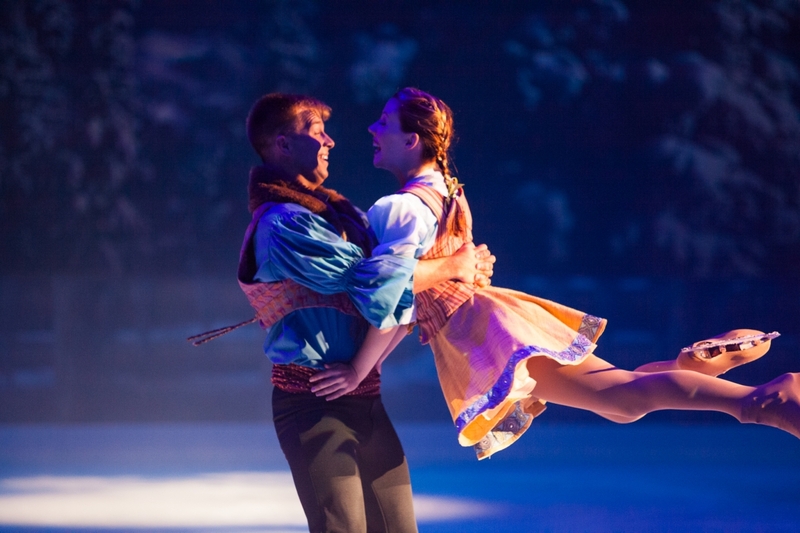 The Ice Skating show at Wandering Oaken's #Frozen Funland was GREAT! 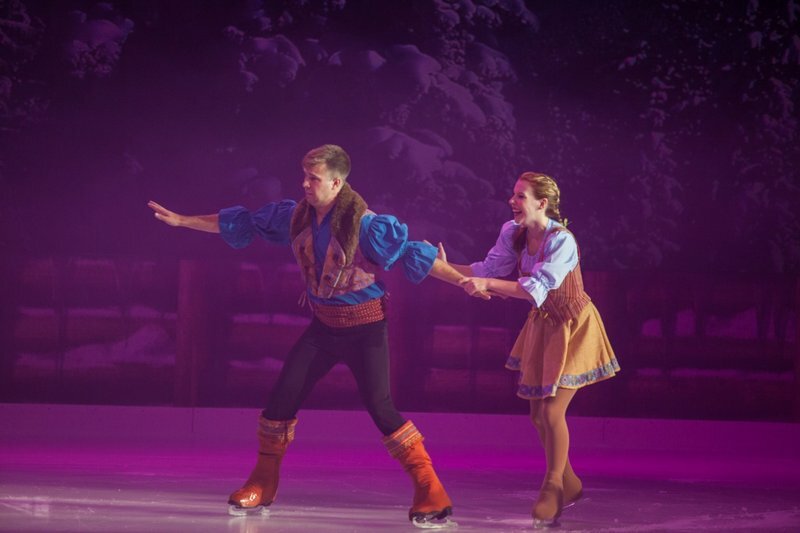 Wandering Oaken's family skated to many songs from the Frozen soundtrack! Really had a great time with the ice skating show! Nice surprise! Anna & Elsa in the Royal Welcome parade! OMG! Kristoff also in the Frozen Royal Welcome Parade! The parade ended at the center stage with a Let it Go sing-a-long! 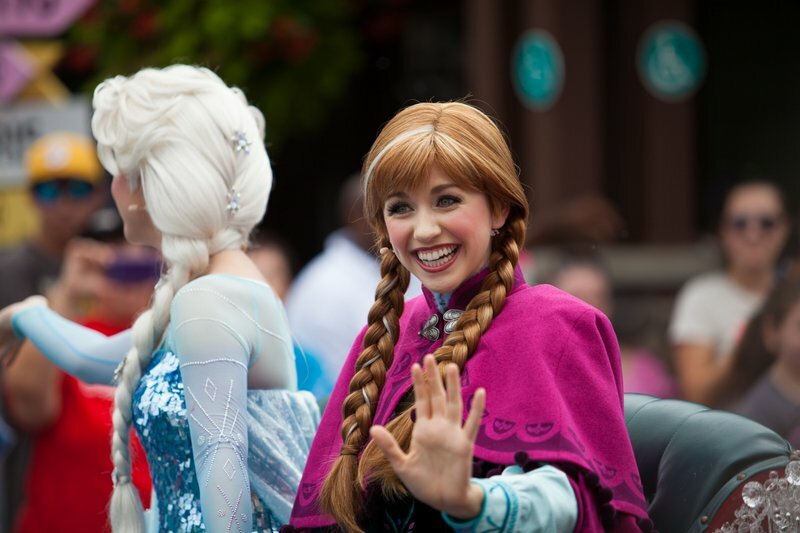 Another shot of Anna & Elsa in the Royal Welcome parade. Another shot of Kristoff's float in Frozen Royal Welcome parade. Insane crowds to see Anna & Elsa on stage. Full video of the Royal Welcome Parade! Currently in the theater for the "First Time In Forever" Frozen Sing-a-Long! Anna takes the stage at the Sing-A-Long! Yup, Kristoff is here, too! Entire crowd singing along with Anna & Elsa! 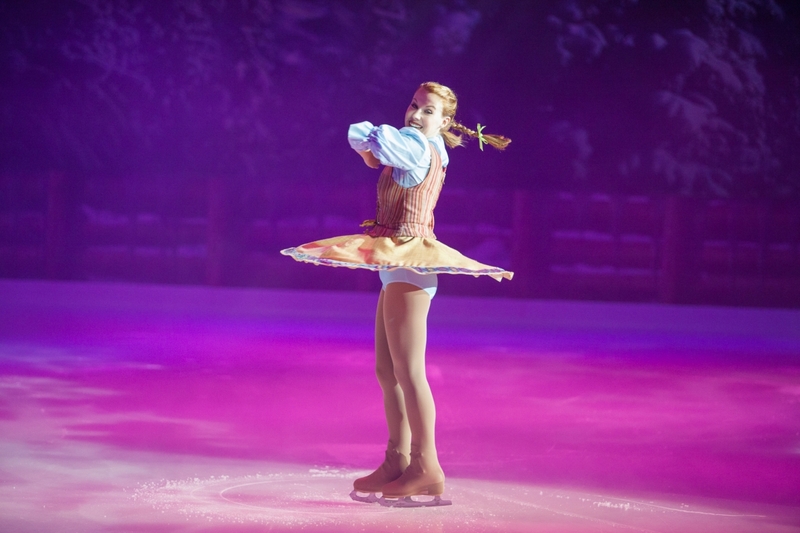 Gotta love how much they are using the new Kristoff character! 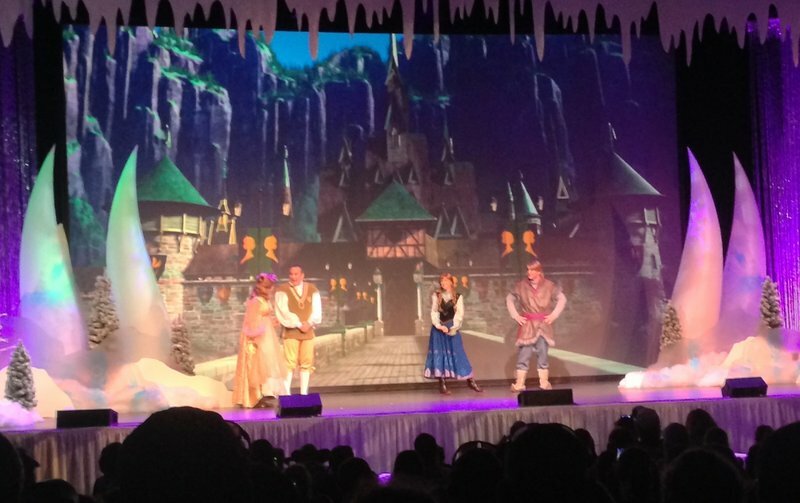 I honestly think this #Frozen Sing-a-Long might be my favorite theme park show ever!!! Anna, Elsa, & Kristoff in the Frozen Sing-a-Long. OMG! I *LOVED* this show!!! KidTums belting out LetItGo during the Frozen Sing-a-Long! Seriously, guys, don't mess with Elsa...she means business! The entire Let it Go sequence from the Sing-A-Long show! Wow, so yeah...I guess they ARE still a thing! I honestly cannot get enough of these two! 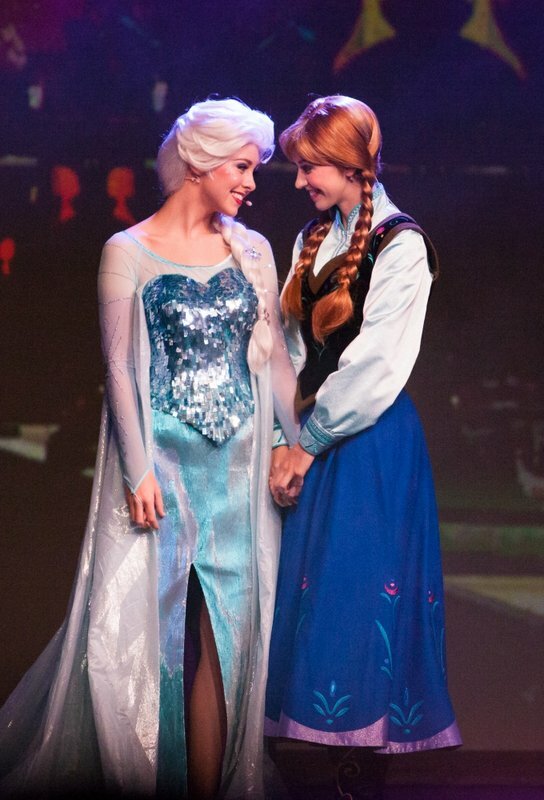 Anna & Elsa are the reason why we are here! LOVE THEM!!! I am still Frozengasming over how amazing the show & everything at this event has been! 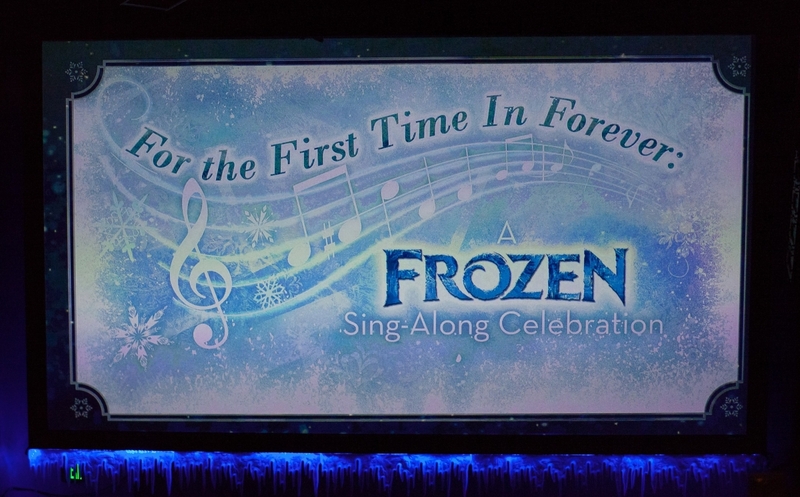 The Frozen Sing-a-Long plays 7 times a day at Walt Disney World Hollywood Studios. It was seriously FANTASTIC! Here is the FULL version of the Sing-A-Long! I was REALLY impressed with this show! I am honestly impressed with the Frozen Summer Fun event at Walt Disney World so far. Taking Olaf on the Great Movie Ride to escape the summer heat! Olaf says "Some rides are worth melting for!" "I don't think we're in Arendelle anymore!" It's awesome being at an event for "fun" & not just to blog about! Olaf says "it's still about a 2 hour line to get into Wandering Oaken's Trading Post." Thankfully we came back later in the day and there was no line to get into the store. 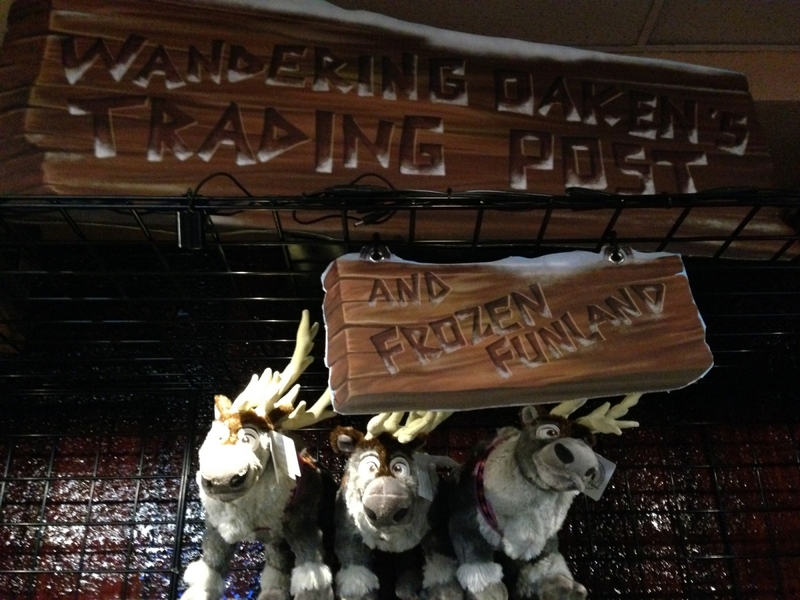 Sven hanging out at the trading post! Olaf approves of KidTums purchases in Wandering Oaken's Trading Post! These Frozen MagicBands are buttloads of AWESOME! Olaf is just chilling on Tower of Terror. KidTums doing her "fierce Anna!" My current favorite Walt Disney World MagicBands! "Whoa, so this is heat. I love it! Ooh! Just don't touch it!" 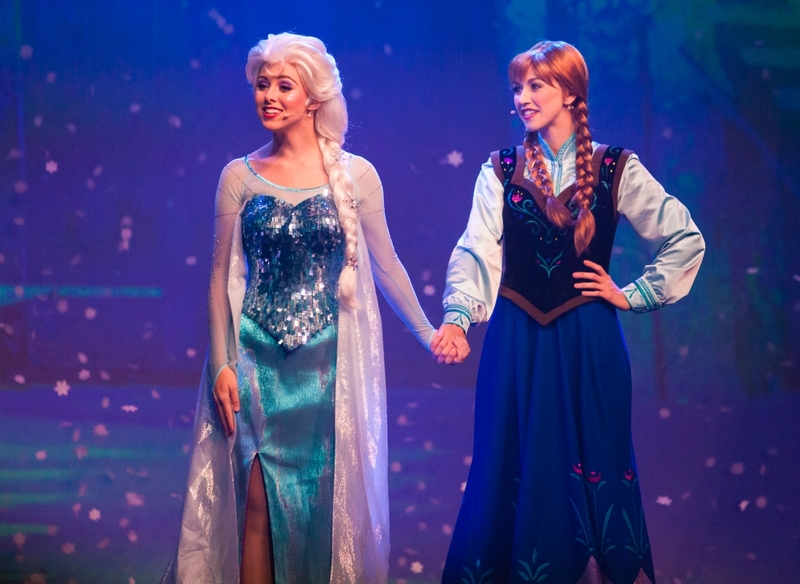 For the first time in forever Anna & Elsa dresses can be found at Walt Disney World together! The Frozen Summer Fun Dance Party is in full swing! The "Icemen" band playing Olaf's song! Hanging out with Olaf and Attractions Magazine waiting for the fireworks! This Frozen Summer Fun dance party is Elissa approved! Let it Go rocking the house at the Frozen Summer Fun dance party! Waiting for the Fireworks and The Icemen are rocking the house! Yes! It's about to start! Princess Anna, Krisoff, & Olaf take the stage before the Frozen Summer Fun Fireworks! Yes! 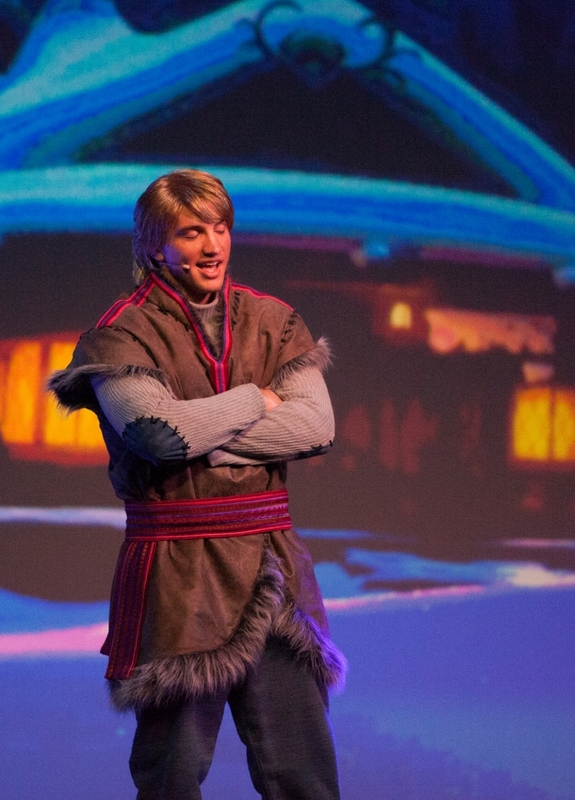 More Kristoff during the Frozen Summer Fun event! OMG! Fireworks set to Frozen music!!! Having a total Frozengasm meltdown right now!!! 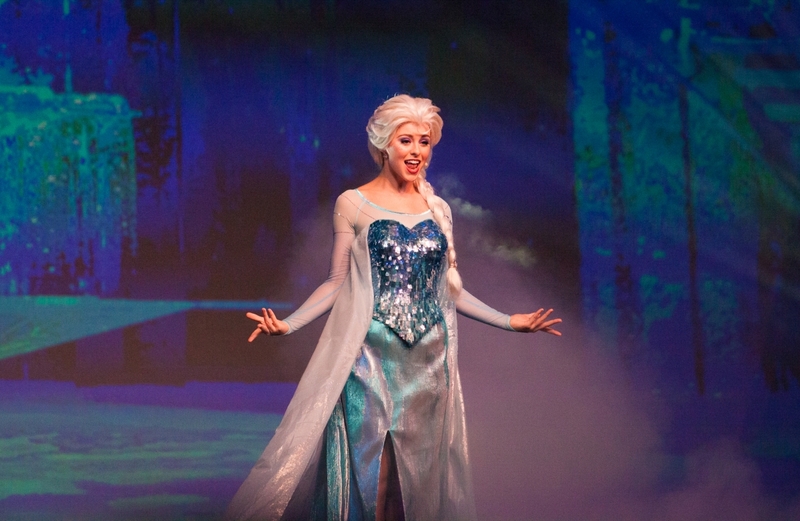 Queen Elsa took the stage during Frozen Summer Fun Fireworks and sh1t got REAL! Let It Go Fireworks! Elsa's snow power turns fiery EVIL!!! Amazing!!! HOLY EFFING SH%T!!! LOVE THIS!!! And this is what the fireworks looked like from a bit further back! Here's the full version of the Fireworks Show. 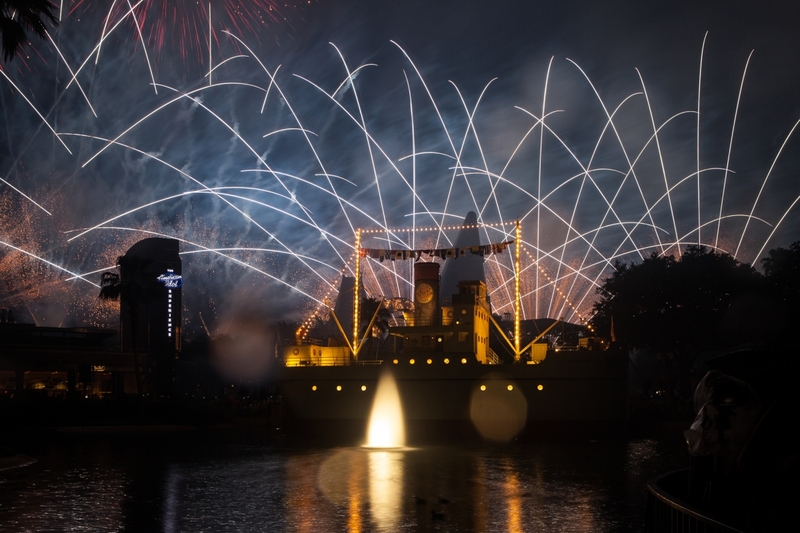 Despite the weather not totally cooperating with the smoke, the show was AMAZING! Seriously had the BEST DAY at Walt Disney World Frozen Summer Fun! Incredible! Will be back for more! 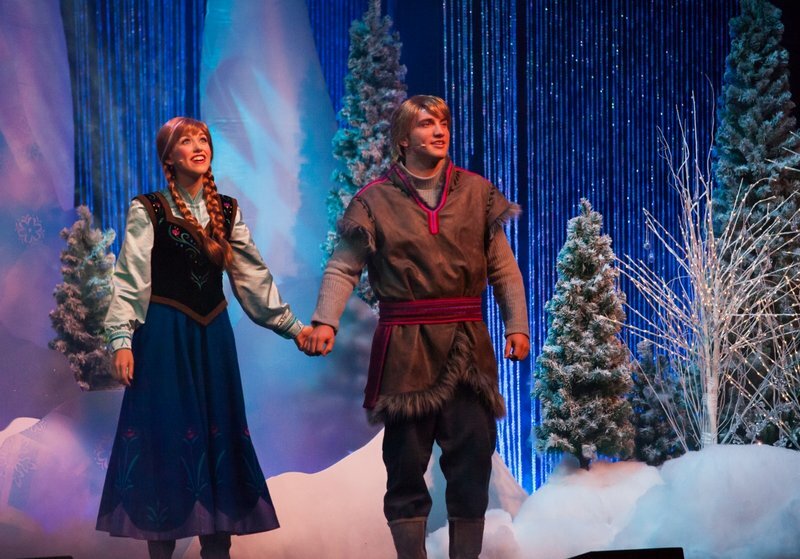 Frozen Summer Fun runs through September 1st at Disney's Hollywood Studios. If you're a fan of Frozen at all, you NEED to check this out! Last edited by robbalvey on Tue Jul 15, 2014 10:45 am. Looks like a cool event! Is this geared more toward getting return visits out of locals? I can't imagine somebody on Vacation wanting to wait that long for a sing-along show.